We are glad to join the Presbytery of Giddings-Lovejoy in welcoming Presbyterians from around the globe to St. Louis for Big Tent 2017. This conference features workshops, worship, bible study, speakers and so many more opportunities for Presbyterians to engage in conversations about Race, Reconciliation, and Reformation. Pastor Erin will be speaking during the opening plenary panel on setting the conversation in the St. Louis context. Many, many Oak Hill members will be serving as volunteers for the conference. And the congregation will welcome conference participants to Oak Hill for dinner, conversation, worship, and fun (you know we’re going to play foosball!) on Friday night, July 7th. 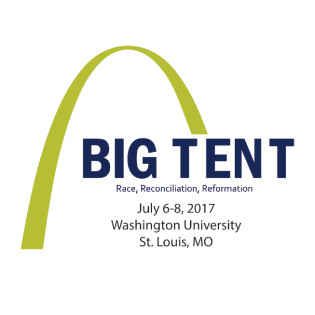 More information about Big Tent 2017 can be found here. The materials and resources referenced in Pastor Erin’s discussion at Oak Hill can be found here.